We caught words with the only mixtape DJ you need be checking out at the moment, to talk about his critically accalimed ‘Best Of’ series and his field of hiphop in general. What up Rapnews? This is J.Period, transmitting live from Brooklyn… (insert: gun salute) Hahaha. Representing for real DJs that mix records. Supporting true hiphop culture. Bringing some innovation back to the mixtape game. And always doing it for the love! 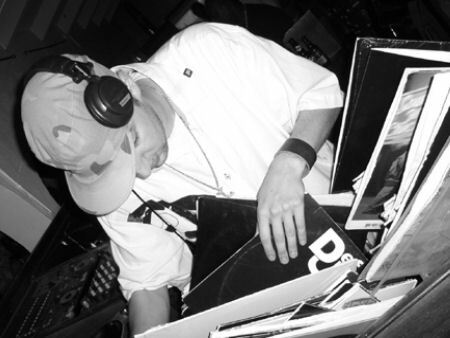 On the resume: Elemental Magazine ‘Mixtape DJ Rookie of the Year’ 2003, I-Jonez.com ‘Mixtape of the Year 2003’ (Best of Big Daddy Kane), SCION Free Up Your Mix NYC Champion 2004, MTV Mixtape Mondays ‘Top 10 of 2005’, XXL ‘Ill Techniques’ featured DJ 2005. My favorite quote anyone has ever said about me: ‘J.Period makes an album out of a mixtape’ — Allhiphop.com. Big up! Where are you from and how long have you been involved in putting out hip-hop? Who are some of the artists and DJ’s that have influenced you to get to this point? My first hiphop memory is ‘Beat Street’, which definitely influenced me a lot. I can still recite that 8 minute Melle Mel rhyme from the final scene word for word! As far as artists that have influenced me: definitely Native Tongues, Kane, KRS, Nas, Mobb Deep, Bootcamp, Pete Rock & CL, Digital Underground… I have loved hiphop since I was 6, so the list goes on and on. 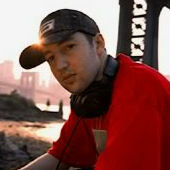 DJs who have influenced me: DJ Skribble got me my first set of turntables so I gotta show love there! Jazzy Jeff & Kid Capri on party rocking, Bobbito on how to really study and expand my knowledge of music, Mixmaster Mike on sheer technical ability. That guy is a magician. Primo & DJ Scratch on producers who really bring DJ elements into the mix. And I gotta give special props to DJ Scratch for the 30 seconds at the end of EPMD ‘Rampage’ which is really what made me want to become a DJ. No joke. What was the first piece of equipment you used and what hardware do you tend to use these days? What would you say is the best hiphop mixtape of all time, and recent years? To be honest, I don’t listen to a lot of other DJs’ mixtapes. I don’t want anyone else’s ideas in my head. The real fun of this for me is trying to create something unique, so I pay more attention to classic hiphop albums, trying to follow that model, than other DJs’ mixtapes. If I had to choose my favorite mixtapes of all time, it would probably be Tony Touch’s ‘50 MCs’ tapes. He got so many legendary MCs in one place that those tapes have to go down in history. I hope one day folks look back on ‘The Best of Nas’, ‘Best of Kane’, and ‘Best of Lauryn Hill’ and rank those as some of their favorites of all time. Do you feel that the mixtape has become too focused in exclusives, beef’s and big artists’s getting their friends on record as favours? Again, I don’t pay any attention to the ‘trends’ in the mixtape game. I just try to steer this ship in the right direction, putting out quality mixtapes that will stand the test of time, contributing to this culture I love. You could say the same thing about hiphop, that it’s focused on the wrong things right now, that the music on the radio is misguided, but I’d rather think about where I want to take the game than all the problems that exist. Exclusives get old after a month, beefs come and go and are usually just sensationalized bullsh*t, cream always rises to the top. Put your man on, put your crew on, get your hustle on, DJs! Just make sure your sh*t is tight. ‘Cause at the end of the day, what matters to me is a month from now, or a year from now… is anyone still listening to your mixtape? Please run us through the releases which you’ve been involved in so far. I have put out about 12 different mixtapes of different styles: mainly hiphop, but also dancehall, classic soul, r&b. Check www.jperiod.com/store.html for the full list! 5 MTV ‘Mixtape Mondays’ selections, 4 Source ‘Hottest Mixtapes’. People have shown love. The CDs that have gotten the most recognition are the ‘Best of’ series. Nas, Big Daddy Kane, Lauryn Hill (Q-Tip is forthcoming) which are hosted by the artists themselves and combine classics, remixes, rarities and exclusive interviews with the artists themselves. The ‘Best of Kane’ received an award for ‘Mixtape of the Year 2003’ from i-jonez.com, and ‘The Best of Lauryn Hill’ was just named ‘Top 10 of 2005’ by MTV ‘Mixtape Mondays’. I have also recorded with Zion I, and put scratches on the new Fugees single, ‘Take it Easy’. Out of all the artists in hiphop, why have you chosen the likes of Big Daddy Kane and Lauryn Hill to release mixtapes of? First of all, because these are artists whose music moves me. I follow what I love. But there’s a reason why I love these artists. Kane is the archtype of the perfect emcee: he can do anything on the mic. And as far as I’m concerned, Lauryn Hill is the illest female lyricist of all time. Just because no one else is thinking about these artists at a given moment in time doesn’t make their music any less amazing. And I’ll admit, I am conscious about shining a light on artists that I love who I don’t feel are getting the respect they deserve in hip hop, who deserve to be named among the greatest of all time. If I can help to shine that light and remind people, put that artist’s music together in a way that really captures who they are, and how amazing they are, then I am honored to do it. Have you got any other artists in mind which you’d like to release a tape of? 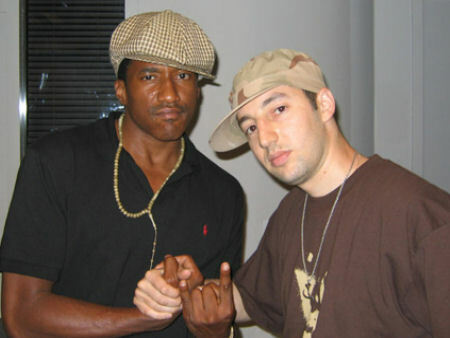 I am working with Q-Tip next. Already sat down and interviewed him for that, which was incredible. CL Smooth, another legendary emcee who had a big influence on me. And Buju Banton, dancehall reggae legend. There are also a number of projects in the works I can’t speak on quite yet! Do you have to ask the permission of the artists involved before putting a collection of their tracks together? I don’t have to ask permission, but as a fan of hiphop, I want to. These are artists I have tremendous respect for so I feel obliged to show them that respect as an artist, and as a person. I’m also not just trying to get ‘permission’, but get them involved, get their perspective on their music, their opinions, their input, so that the finished product is truly a representation of them as an artist. Where did you dig up the exclusives on the Lauryn Hill release from and have you had a chance to meet her? I spent over a year digging for exclusives. They came from all over the world really. Can’t reveal all my trade secrets! I also dug up a lot of acapellas and made my own remixes to reinvent some of her more popular songs. Lastly, I had the amazing opportunity to collaborate with legendary artists like Buju Banton and Steele (Smif’n’Wessun) to record exclusive tracks for the CD. I did communicate with Ms. Hill extensively through email, met up with her in person to record drops and sound bytes, and have continued to communicate since. Last week I actually had the opportunity to share the stage with her in NY’s Central Park Summerstage, where I got a last second call to drop records for her in an impromptu performance… which was pretty incredible. She ended up flipping a live remix of “Lost Ones” over the ‘Jamrock’ instrumental, and killed it! Little of her recent material, like the Unplugged album features on your disk. Is this more of a tribute to her hayday? Not at all! This CD is a statement that in any era in hiphop, Lauryn Hill stands out as one of the greatest. That’s why I put her over so many different classic beats, to show that her skills transcend all the bullsh*t everyone is talking about her, or any personal struggles she may have been through. Besides, there is definitely newer material on the CD. The first track, ‘The Passion’ is a new track. I also have a couple of songs from the ‘Unplugged’ CD on there and even produced a remix of ‘Water’ which I flipped with verses from Common and Black Thought. The new Special Edition version also contains the new Fugees single ‘Take It Easy’, which I had the opportunity to put the scratches on in Wyclef’s studio last month. The main reason why the mixtape only contains a small amount of music off the ‘Unplugged’ CD is that all of those songs have a similar acoustic sound, and my goal was to keep the CD as diverse as possible, to show all aspects of her music. Also, for all the unreleased material, if you haven’t heard it before, it’s new to you! What matters to me is: is it good music and does it blend together well to tell a story? Do you think Lauryn Hill is still relevant and a force to be reckoned with in 2005? I think the overwhelming response to the mixtape from around the world is the best testament to the fact that her music is still relevant, as well as the message in her music. It’s not really my place to speak on her immediate plans, but if you ask me I think she is definitely still a force to be reckoned with… be on the lookout. Have you heard any of her new material, or the new Fugee’s stuff, and what were your thoughts? Like I mentioned before, I actually was in the studio last month with the Fugees when they were mixing the new single ‘Take It Easy’, and I recorded the scratches which appear on the record. For starters, that was quite an honor. To go from being an outsider who loves their music, to actually contributing to it creatively. So I am probably biased, but I thought the new material was hard. Back to basics, real hiphop, which is what the game needs right now. I also felt a spirit of enthusiasm in the air in the studio, like they are as eagerly anticipating their fans’ response as the fans are anticipating the music. A lot of energy in there. As far as Ms. Hill’s music, I will leave some suspense on that, but what I have heard is very powerful. How can people in the UK get hold of your releases and have you got a website we can keep up to date with you on? www.jperiod.com is the site. Definitely stay up with me! You can sign up for the email list on there as well. As far as mixtape spots in the UK, my CDs are out there… You just have to keep your eyes peeled. We’re also constantly looking for more outlets, so if anyone has a shop and would like to carry them, please reach out. [email protected]. In the meantime, the best way to get my CDs anywhere in the world is on my website at www.jperiod.com/store.html. I have specials and limited edition material on there as well, and shipping is only $5 anywhere in the world, too, which is pretty good! Do you wanna make any shout out’s or drop a promo message to wrap this up on? Yeah for sure. Respect the Truelements of hiphop! Also, shouts to my Truelements team: Tamir, Ed & Jamal (LTG), Selena & Khary, Tasha Stoute (Strong Arm Media), Noa, Justin and the rest of the crew. They hold me down and help me reach a bigger and bigger audience everyday. Big up to my folks Zion I, Q-Unique, and big Mazzi gets a shout out this time too. Ight, big up to the UK! I’m out! Like the idea of these ‘greatest of’ mix CDs. Bit better than idiots shouting over wack tracks and making them even wacker!